If you see a lot of people standing on bridges today, now you’ll know why. Google reminded us that today was the 100th anniversary of International Women’s Day, and they are inviting you to join tens of thousands of people coming together on bridges all over the world to show your support for women's causes and celebrate women's achievements. Frankly, we’d like to see more women on a bridge, at the helm, sailing and navigating their own boats. So we thought we’d take the opportunity to remind you about some great resources that empower women to enjoy boating and fishing. There is a comfortable feeling learning with your peers. You’ll enjoy being with a group of women who are in the same situation, with the same questions that you may have. With no men aboard to politely "do" for you, you learn all the things you are capable of. 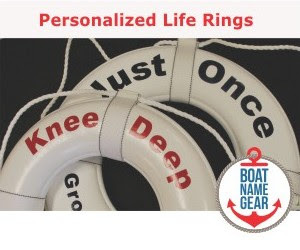 SEA SENSE will teach you all aspects of boating, from the helm to the deck to the engine room to the chart table. Ladies, Let's Go Fishing!, or LLGF for short, is a national organization dedicated to attracting more women to sportfishing and to promoting conservation and responsible angling. LLGF especially promotes networking among women anglers and emphasizes mentorship between novice and experienced members. The LLGF organization has over 5,000 graduates so far… can you be next? Visit their website for more information. The Women’s Sports Foundation, founded by Billie Jean King in 1974, advocates for equality, educates the public, conducts research and offers grants to promote sports and physical activity for girls and women. Sailing is definitely on this organization’s radar, as is rowing, kayaking and even fishing. Visit the organization’s website for more info. 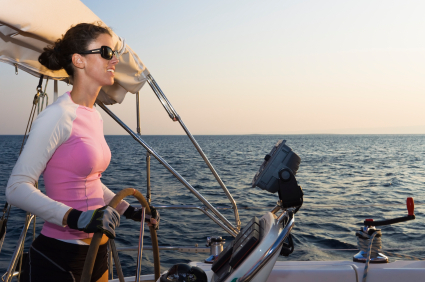 The National Women's Sailing Association (NWSA) was founded in 1990 with a goal of providing opportunities for women to learn and enhance their sailing skills and have fun and meet others at the same time. More than 20 years later, the Massachusetts-based organization still has the same mission and has helped countless women enjoy sailing. For more information about the NWSA’s Take The Helm® and AdventureSail® programs, please visit their website. If you have been involved in or are aware of other organizations that help women enjoy boating or fishing, please share via our comments section below. Here's another resource with more info for enjoying the sailing and cruising lifestyle, whether on local water or going around the world. Actually, it's for both women and men -- anyone who likes to eat while out on the water! For many, the idea of cooking aboard is intimidating -- the galley is small, electricity limited and you may not have access to prepared foods. My blog, The Boat Galley, provides practical information to give you the skills you need to feel comfortable with this aspect of boating. The Boat Galley includes provisioning tips, cooking techniques that work on a boat, outfitting, and innovative ways to solve common problems, amongst other things. 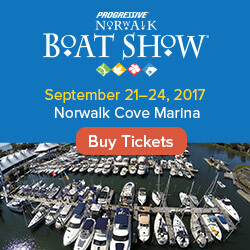 Come join me at TheBoatGalley.com!